Yeh Rishta Kya Kehlata Hai : Check Out Kartik And Naira’s Mehndi Ceremony Pictures! Yeh Rishta Kya Kehlata Hai is currently airing Kartik and Naira’s mehndi ceremony. The first episode starting off the marriage rituals aired tonight and the upcoming sequences in the same ritual are nothing less than what we have seen before. Viewers can see KaIra’s mehndi ceremony taking place amidst a lot of love, drama and tension. 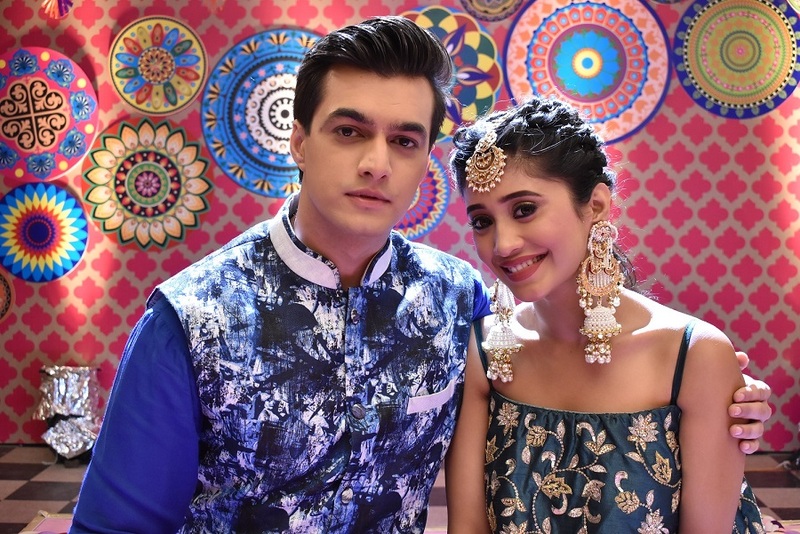 Both Shivangi Joshi and Mohsin Khan wore traditional outfits for the occasion and Mohena Singh along with others will be seen dancing in the beats of a song that is recorded specially for the mehndi ceremony episode. For the uninitiated, Naira has forgotten about her marriage with Kartik but has fallen in love with him again despite not remembering him. The family and Kartik have decided not to reveal anything to her in order to avoid hurting her and has fixed their marriage together. Are they getting married again? WOW!